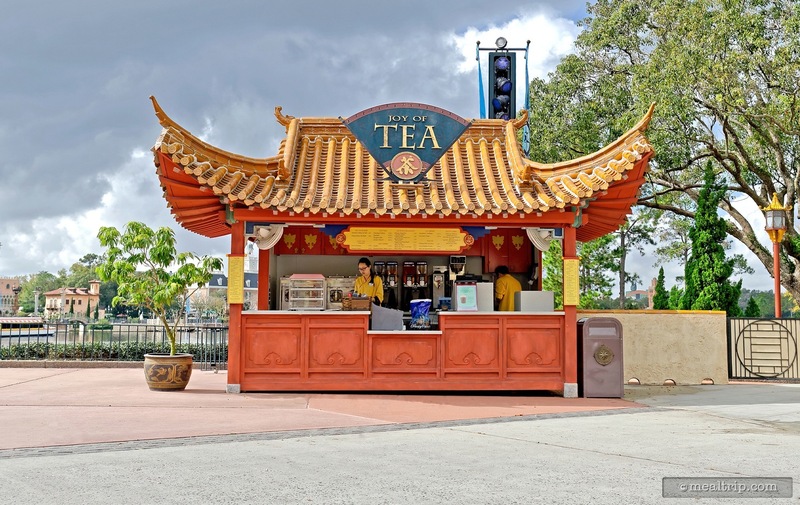 The Joy of Tea listing is a Kiosk or Cart dining location at Epcot featuring Asian - Chinese, Japanese, Thai, Wine, Beer, Spirits or Beverage-based cuisine. There are 8 photos in the Mealtrip photo gallery for this location and dining period. The Joy of Tea listing currently has a score of 61 out of 100. Click here to read all of the reviews for this location, or log in to Mealtrip.com to add your own review for Joy of Tea. 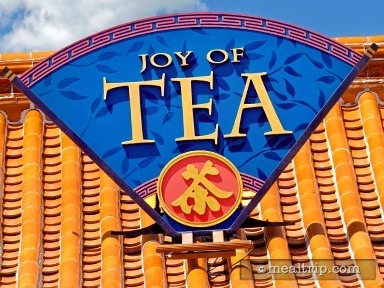 The Joy of Tea kiosk at Epcot's China Pavilion. 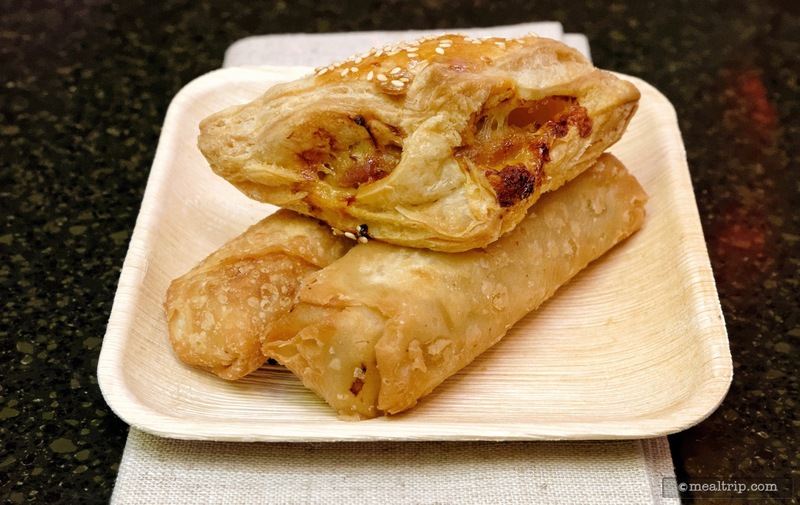 A Kung Pao Chicken Egg Roll cut in half (because egg rolls don't look like much on the outside). One comes with the lucky combo (along with other stuff), or you can get two of these as a single plated snack. 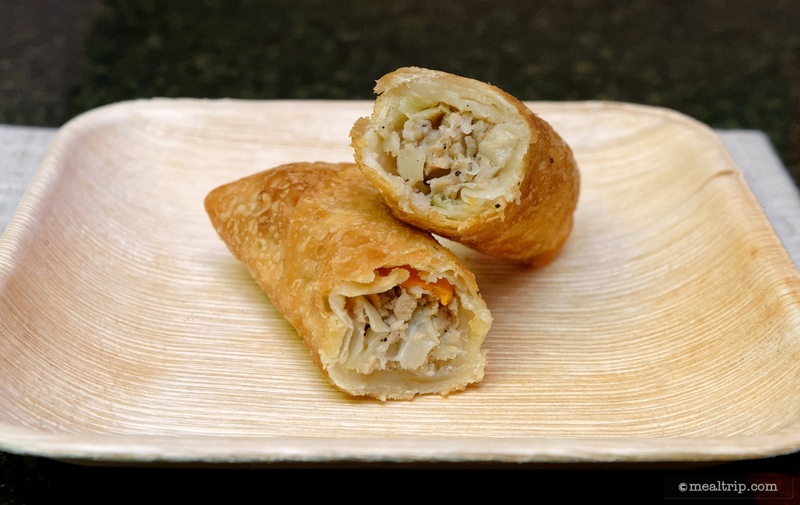 The Joy of Tea's Pork and Vegetable Egg Roll cut in half. 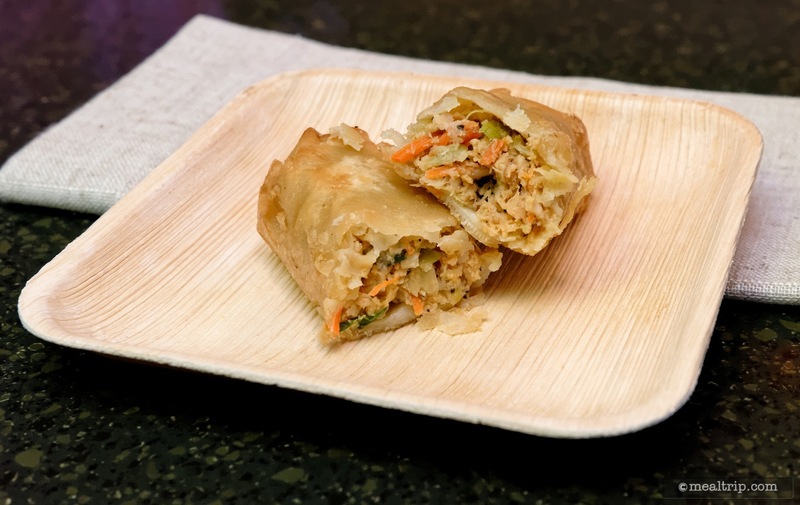 One Vegetable Egg Roll is part of the lucky combo (along with other stuff), or you can get two of these as a single plated snack. 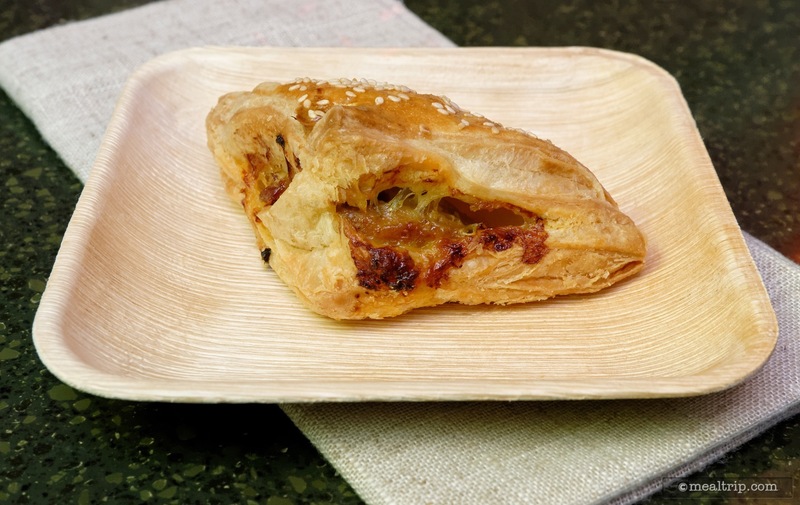 The Curry Chicken Pocket from Epcot's Joy of Tea kiosk is extremely flaky. If you cut this one in half, it's not going to be pretty. You can get two of these on a plate, or a single pocket as part of the larger Lucky Combo. 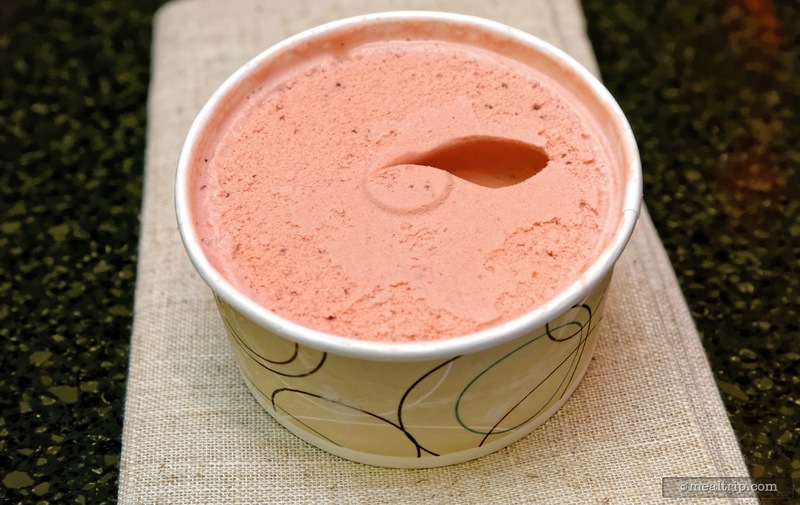 Strawberry-Red Bean Ice Cream (your ice cream cup will come with a lid). 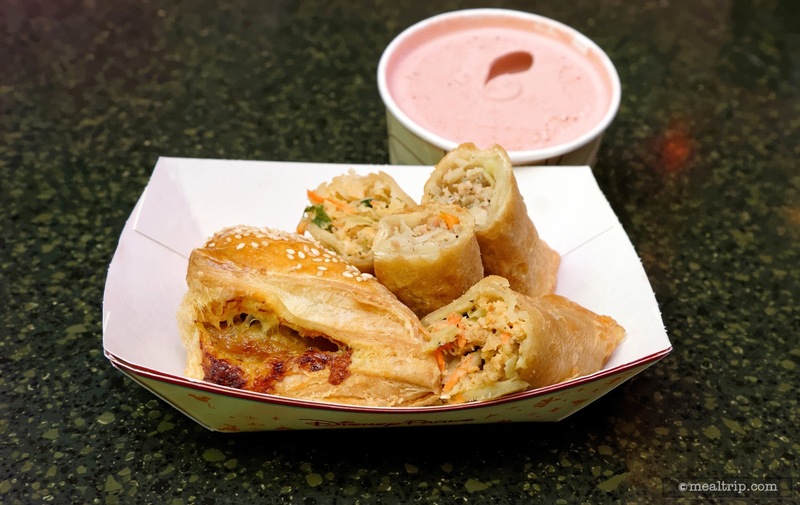 The $10.98 (as of 05/2016) Lucky Combo combines two Egg Rolls, a Curry Chicken Pocket, a cup of Ice Cream and a bottled soda or water (not pictured). Your Lucky Combo will not be cut in half. We just did this to show you the insides of all the items. 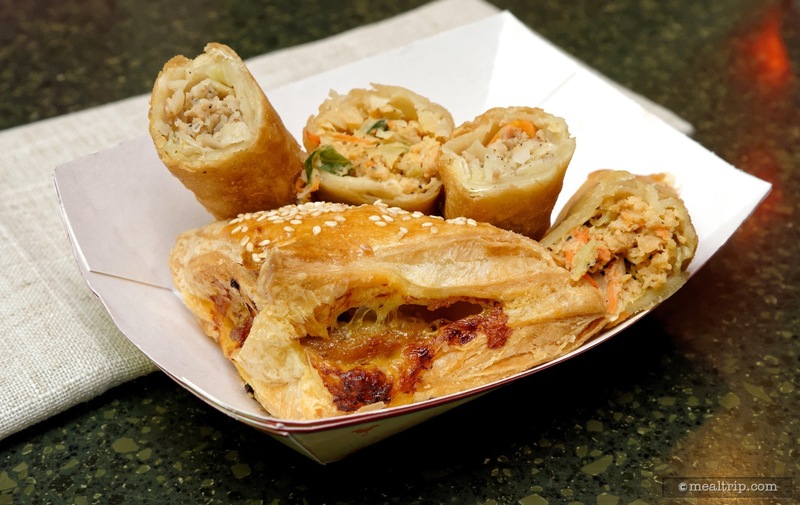 The two Egg Rolls and Curry Chicken Pocket from the Lucky Combo, before being cut in half.